Download Luxury Watch Website Template PSD. If you looking for eCommerce website template for your product store than this Free Luxury Watch Website Template is perfect for you. Freebie contain website landing page template and it has all the necessary design elements which will help you create any product related website easily. 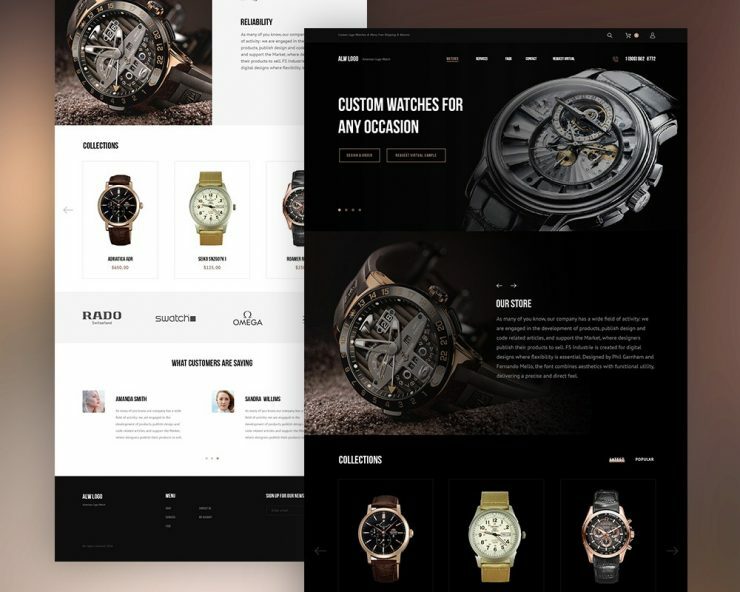 This free website template is specially designed for luxury watch brand but you can also use this Watch Website Template PSD to design and create any product website quickly. The website template has clean yet modern look with well suited colors and beautiful typography which give this Luxury Watch Website Template a premium look. Hope you like it. Enjoy!